Dwindling food supplies not climate change played a role in the downsizing of coyotes. 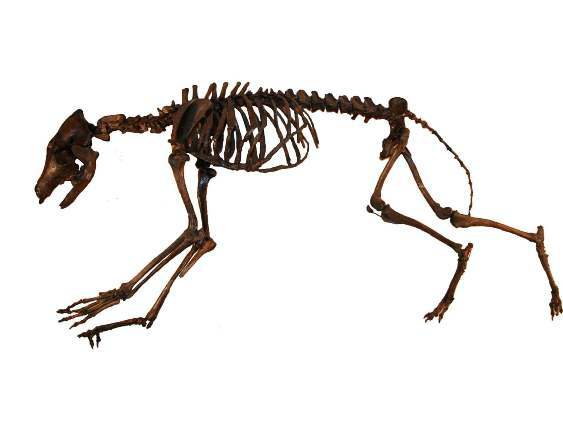 A new fossil study of coyote skeletons dating back from 38,000 years ago to the present day has revealed that between 11,500 and 10,000 years ago, at the end of the Pleistocene, coyotes suddenly got a lot smaller. Transitions in size are not an uncommon concept in the evolution of species; but the key issue raised here is why the change happened so quickly — 1,500 years equal a blink of an eye in geological terms. “Pleistocene coyotes probably weighed between 15-25 kilograms, and overlapped in size with wolves, but today the upper limit of a coyote is only around 10-18 kilograms. Within just over a thousand years, they evolved into the smaller coyotes that we have today,” study co-author Julie Meachen in a release from the National Evolutionary Synthesis Centre in Durham, North Carolina. According to the researcher, climate change is an unlikely culprit. Although 10,000 to 15,000 thousand years ago the average global temperature raised by six degrees, the ice-age coyotes managed to adapt — a careful examination of thighbone circumference ruled out this theory. Humans may have also played a role in the shrinkage, but as Meachen suggested: “Human hunting as the culprit is really hard to dispute or confirm because there’s so little data.” Stone-tool butchery marks have been observed in some ice-age animal bones, but the fossil records don’t provide enough evidence to support the hypothesis that hunters selectively wiped out the bigger coyotes. The researchers suggest that 1,000 years prior to the downsizing of coyotes, dozens of other large species were wiped out in a wave of extinctions across North America. Coyotes faced competition for food from other large carnivores, but after these went extinct Canis latrans orcutti no longer needed its large size to compete for food. “There were not only a greater diversity of prey species, but the species were also more abundant. It was a great food source,” said Meachen.